Presented by Peridot Theatre. A group of the usual British mystery-murder types gather at Lady Somerset’s country estate. Suddenly, one of them dies of poison! Well, of course. Oh, what fun! But why won’t her Ladyship summon the police? And why were they all invited there in the first place? Is this just another formulaic, all-too-predictable mystery story? Or is it something diabolically…different? 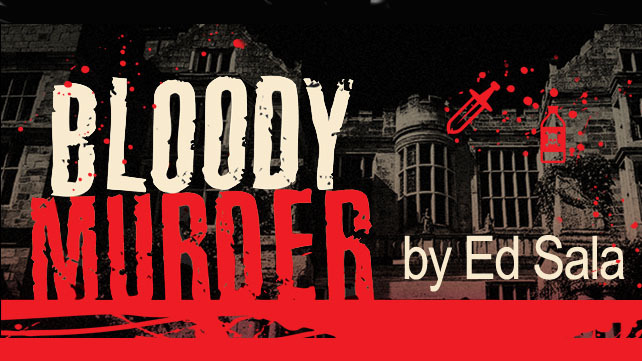 Audiences will be thoroughly entertained with this hilarious murder-mystery. December – 1, 2 at 8pm. Matinees – Sunday 19 & Saturday 25 at 2.15pm. Twilight – Sunday 26 at 4pm.